This topic contains 0 replies, has 0 voices, and was last updated by ia adam-lim 6 years, 4 months ago. This is my site http://www.specialeducationphilippines.com/. I would like to know how to customize the featured image on post so I can see my chosen photos? Also I noticed that the Blog title does not appear and only the Tagline appears. I changed the Tagline to show my blog title instead so that it will appear. Is there a way for me to see the title and the tagline properly? Thank you for your interest on DISCUSSION theme. 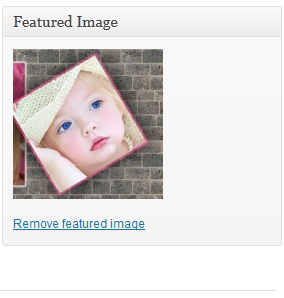 Featured images can be attached to your post or page using the Write Post or Write Page panel. There is a section on the right bottom side where you can set a featured image. 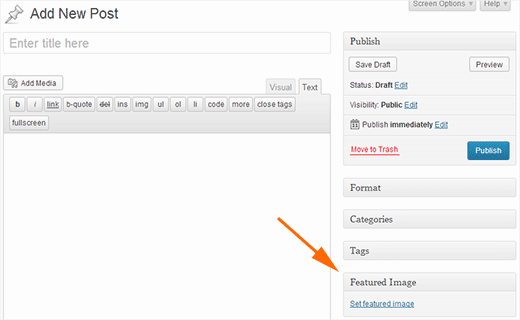 Walk through the following steps to attach the image to the post or page. The Free Version supports only Logo. You can implement Custom Logo instead of Title. If you search in the internet you will find lots of tutorials how to implement custom logo. The Pro Version can be designed with Logo or Title. The difference of Free and Pro Versions can be found Here. Thanks for your reply. If I post more than three featured image will they be displayed like a slideshow or I can only use three featured images at a time? The FREE Version can show only the latest 03 Featured Images without scrolling. The Pro Version can show more images with scrolling with other theme functionalities. You say the Free version supports only Logo? I am confused. I am trying to use the featured image to show where the placeholders are and it will not work for me. I get links “150” which you can click on but no image. you can see this on http://www.truckitfest.com. I would like to resolve this before going to the Pro version. Any help is appreciated. Your image inserting and saving may not be completed. The thread opener is also using the Free Version. Please visit that site which is working without this issue. It is not the problem of Theme. Thanks for the response and I am not saying it’s the theme. I am asking if you can help. I did visit the thread opener and see it works. I created a post, selected an image as the featured image and then saved it. pretty simple stuff. Can you look at my site? and tell me if you see anything strange. What could not be completed in my saving the post? Thanks. Can you help me with this before I purchase please? The number is the Post ID. Did you do any customization? If no this is for any conflicting with any Plugin installed. Such this cases, we may check the site details using the site’s admin dashboard for our pro users. We are apologizing but our policy and time doesn’t permit us to get access to Free Users WP Dashboard. We are sorry but you have to fix this problem by yourself. You can follow every steps carefully of the above post. We actually don’t know what are the other plugins you are using those may create any conflicts. It will require time to fix but unfortunately we have to handle and give priority to our Paid Users first. Are you able to assist me in fixing this issue or is my only option to pay for the Pro and then hope it gets resolved after you have my money? I would like to use the theme but again, I want to see the free version working properly on my site. I have tried everything I can think of and no luck getting the 3 featured images to show up. Thanks! All need money, Even our Developers are paid, isn’t it? But we don’t think for money every time. We don’t also think for money for resolving your problem. But we need to diagnosis your problem first. You will buy the pro version or not, is not the factor. You are using our theme. We respect you and must care your problems. But we have some policies. Is it possible to assist all of our Free Members going to their WP Dashboard? You can find that our free themes have been downloaded more than 100,000 times. I am having trouble aligning my picture into the slider. http://www.gobabyproductions.com is my site and the image is off to the left of the slider instead fitting into the slider. can you help?